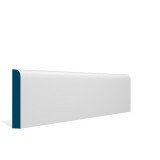 All our primed White skirting board comes factory finished and ready for top coat or Gloss. We also have a great selection of Skirting available in many different finishes. Oak skirting board, Walnut Skirting board, Primed white skirting board, red deal Skirting , shaker skirting, moulded skirting board and many more profile to choose from. 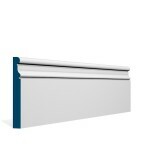 **Free Delivery throughour Ireland** Primed Ogee Skirting. 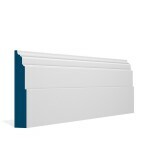 5 x 2.4mtr lengths per pack..
**Free Delivery** Primed Shaker Skirting. 5 x 2.4 mtr lengths per pack. 12mtrs per pack..
**Free Delivery** Primed Skirting Ardan. 5 x 2.4 mtr lengths per pack. 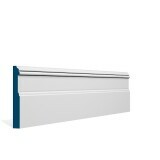 12 metres..
FREE Delivery on all our skirting and architrave. Pre-Primed Whitewood comes to you coated on thr..
FREE Delivery Primed White Bevelled Double Shaker Skirting. 5 x 2.4 mtr lengths per pack. 12 metr..
FREE Delivery Primed White Chamfered Shaker Architrave. 5 x 2.4 mtr lengths per pack. 12 met..
FREE Delivery Our Pre-Primed Skirting boards comes to you coated on three sides in a neutral..
FREE DELIVERY Primed Bradan Skirting. 5 x 2.4 mtr lengths per pack. 12mtrs per pack Avail..
FREE DELIVERY Primed Whitewood comes to you coated on three sides in a neutral off-white colour. ..
FREE DELIVERY Primed Whitewood skirting board comes to you coated on three sides in a neutral off..
FREE DELIVERY Primed Chamfered Skirting. 5 x 2.4 mtr lengths per pack. 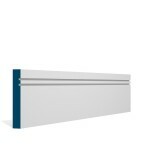 12mtrs per pack Av..
Free Deliver throughout Ireland and the UK. Pre-Primed Whitewood skirting boards comes to yo..
Free Deliver throughout Ireland and the UK. Primed Whitewood comes to you coated on three sides i..
Free Deliver throughout Ireland and the UK. 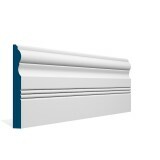 Primed Whitewood skirting comes to you coated on thre..
Free Deliver throughout Ireland and the UK. 5no Lengths per pack (2.4m) Available in 19x119..